A question I often get. Take a quick look at the yoga training photos on social media, and it is safe to say that almost 80% of participants are in their mid-twenties to thirties. Pictures of supple young bodies twisting and bending in various ways, one would inevitably ask: What is the ideal age to join a yoga teacher training? This first stage takes us through childhood and adolescence to the brink of adulthood. It is a time for assimilating traditional knowledge through parents and/ spiritual teacher. The word brahmacarya refers to self-control, discipline, and continence, and during this stage, wisdom consists of being patient, kind and respectful to our seniors. Essentially, this is the foundational pillar of spiritual practice for the three other stages. The second stage of life is the time of earning one’s living and sampling the pleasures of the world. Gri means house, so you are a householder with your own family, perhaps with a spouse and children. In addition to supporting a family, this is also the stage for one to utilize the training, discipline, and knowledge gained from the previous stage to enjoy sensual pleasures and worldly interests. Iyengar emphasized in this stage ‘…the other bank containing bank of the river of life that flows abundantly with wealth and sensual pleasure is moksa (freedom)…’. This stage helps us to cultivate the necessary love, forgiveness, compassion, tolerance, and patience to counter our instinct of self-centeredness and greed. Any parent could tell you how their children’s priorities precede that of their own. Being a householder requires you to strive for a spiritual life in the midst of worldly temptations and distractions. This third stage is one of progressive letting go. Vanaprasthasrama is a transition stage when one begins to move away from social responsibilities and attachments slowly. For a businessperson, it might imply handing over the business to a capable youngster, or a parent letting his/her children to establish independence and partake in society. However, unlike retirement in the West, this is a spiritual stage filled with learning and growth; a progressive letting go of the Ego that may have in the past hindered us on our journey inward. In the final stage of the Ashramas, the yogi detaches from all worldly pursuits and wholeheartedly devotes to the attainment of the ultimate goal of yoga- Self-Realization. Iyengar described this stage as “ultimate detachment, freedom, purity, and readiness for death.” Instead of facing death with fear, a yogi continues to serve God by his devotion (bhakti) and actions (karma) and unite with the Oneness that has recognized as the Supreme Reality. The significance of Ashramas has declined over the years due to the loss of caste system and through Western influence. Yoga has now become a style of life rather than a lifestyle. If we dig deeper into the question whether there is an ideal age for taking a yoga teacher training, it would be the equivalent of asking whether there is an ideal age to start living a more spiritual life. 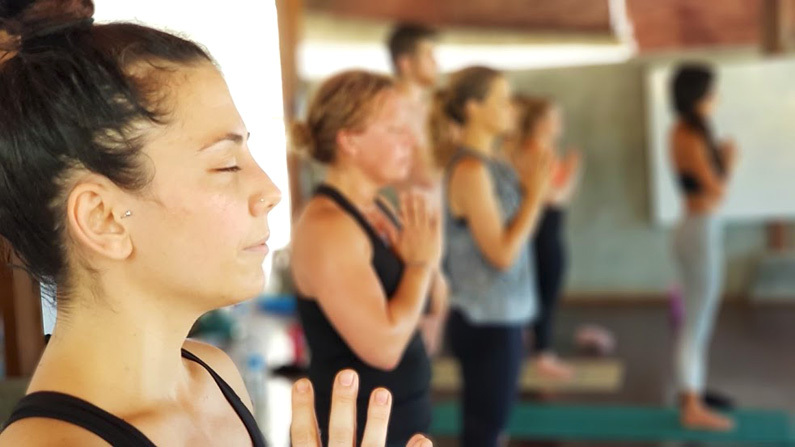 You would learn through a yoga teacher training the knowledge a traditional yogi would learn in the first Ashrama, including establishing a self-practice, proper meditation techniques, yogic diet, and philosophy. Essentially, a teacher training is an excellent start to your spiritual journey towards Self-Realization. Regardless of how old you are, as long as you incline to live a spiritual life, you are ready to join a yoga teacher training.